Hey Lycan, I got the hangar but that other part looks awesome. Y'know, Parkside Head has a few other possibilities. Originally I saw it as a tower for Parkview's airport but then I remembered some if not all major railroad switch yards also have a tower. Quite versatile, innit? ...also makes a good security watchtower. Didn't someone post a render using one like that? ... a couple pages back. Another is in the works. Hmmm ... where'd you get the Chevvie Nomad? That one is made by Nationale7, its available at Rendo. I also have the 32 Ford, (Great model, have to do a lot of re parenting in DS4.5), but oh what a great model! I like the way parkside heath promo art looks. I was wondering if nayone might advise a lower cost ground substitute since I don’t own atonement, which is what these pictures use. Also, the trees… Any idea how the trees are done in the background? they look great. In Cradle to Grave I used the ground plane from Carnival Entrance, but for something closer to Atonement's you might try the Moonlit Moonshines Drive-In texture on the Moonshines Drive-In's groundplane. Can't tell you 'bout the trees, but I'd recommend looking back through Lisa B's stuff, especially Creepy Trees I and CTII. As Kickair says, I also use the Carnival Entrance Ground to a fault, many times I will also use its own retextured version for certain scenes, also the ground for the Drive in is a good stand in as well, also, if you have a Curious Chapel, that ground plane has a lot of uses as well. Well, judging by the PC and other releases this month, Jack has been VERY busy lately! I love the drive-in, brings back so many memories from my younger days. And even though I will have to wait until this weekend for them, the diner and associated sets just look incredible as well! I am looking forward to playing with these. On a side note, let me add my voice to the requests for a Moonshine Drive-In concession stand to go along with the rest. Every drive-in needs its concession stand! Jack, keep up the fantastic work, every piece is truly a pleasure to see! 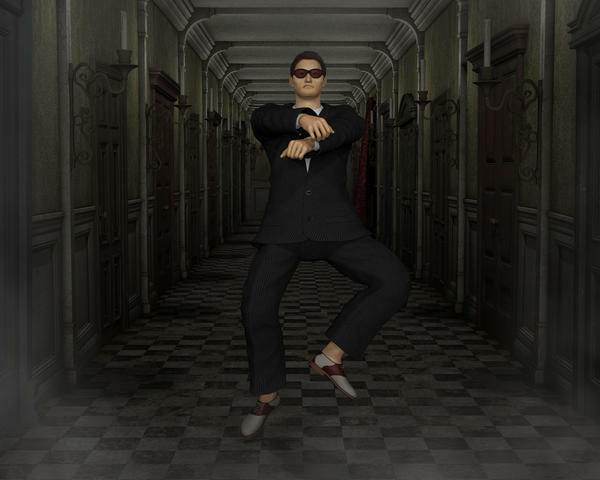 Curious Hallway oppa gangnam style! I graped the bundle and the other things. It is great! Will there be some kitchen interior too? Possibly.. :) like the other addon's that have been suggested, if the theme proves popular then of course I will come back and expand on it sooner rather than later. I started to like it more when I found out he wasn't actually being serious and was poking fun at certain types of people. I remember some blurry diner-kitchen background from some of the PlatClub promo shots -- hopefully they're gonna be part of next week's PlatClub releases. have no clue but it's a big mystery as this song that was made by this guy in the evening after he had chatted with what he thought was a forum bot, that proved to be his friends girlfriend (and he hadn't been very nice to "the bot"). I know it was released in the UK a year after it smashed in Sweden.